In the summer of 2018, I would graduate with the Bachelor’s Degree. My major is English Education and I will be an English teacher in a senior high school in August. 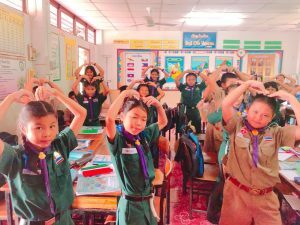 In April, I applied for a volunteering English teacher in Thailand, which is one of my life plans before 30-year-old. 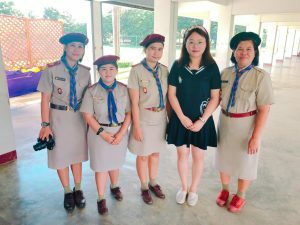 At first, I searched the topic How To Be an International Volunteer on the Internet, actually I found a lot of programs especially Chinese programs that provide you housing, food and occupation rather than air flight in Smilan Islands, Bali Island and so on. Some of them are out of reality, paying for help, expensive. It’s so ridiculous that a lot of Chinese students would like to pay for volunteering. Some of them are not volunteering at the bottom of heart; they just want to label themselves, showing themselves off. And some want to get the certificate to help apply for postgraduate abroad with some volunteering background. One day, I clicked a website and finished an application paper with a desire to have a try. 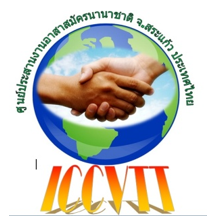 Luckily, I met Jason, the director of the program ICCVTT. 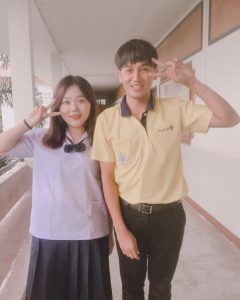 (The International Coordination Center for Volunteer Teacher) He is my interviewer about the program we talked a lot, about half an hour. Why I attended the program? Why you chose to be an English teacher? 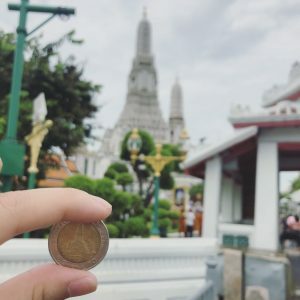 Why you chose to be volunteering in Thailand? 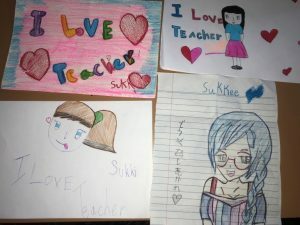 Do you know how to teaching less than 10 years old students? A lot of questions was pushing into me. That was a nice conversation, which made me feel Jason’s passion, kindness and enthusiasm. 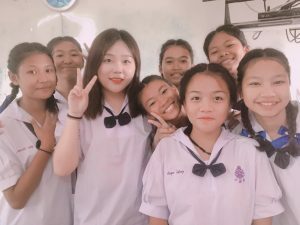 Then I passed the interview and I was arranged to be an English teacher in a volunteer of Sumpanwittaya School located in Wichian buri District, Phetchaboon. The school currently serves fewer than 1200 students in grades 1 through6. I am happy and looking forward to my new life in Thailand, at the same time, I am much curious about the coming unknown. I lack the practical experience about children teaching because I never teach any children in China before. 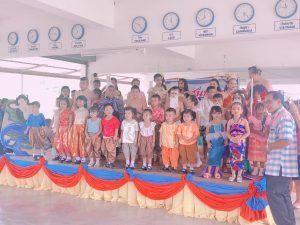 I love education, kids and Thai people. That’s why I choose to be a volunteer in Thailand. 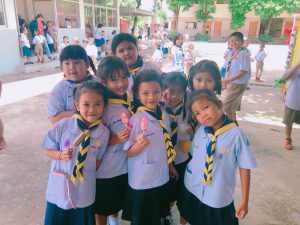 In my eyes, Thai people are very friendly with the smile always on the face because Thailand is known as the smile of country. Most of them are Buddhist and you can see a lot of temples here. 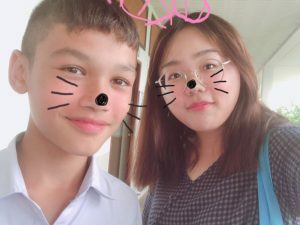 On 25th June, I arrived in DKM Airport and Aten and Proy picked up me and another Chinese teacher. How nice and friendly they are. They showed us around Bangkok city and we went to Grand Palace with the boating in the river. 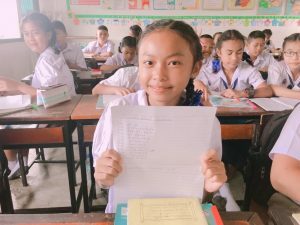 Aten is our sponsor in this school and Proy is the headmaster’s daughter. And these days, Proy is always accompanying with us every second with the considerate heart. Thai people are really considerate and kind, they are caring about us very much. We eat different breakfast every morning and Proy is worrying about that we will feel bored about the food in dining room so she always takes us to eat different authentic delicious Thai food. And when we are not at home or school, she will call us in a second and ask me where we are and whether we need pick-up.